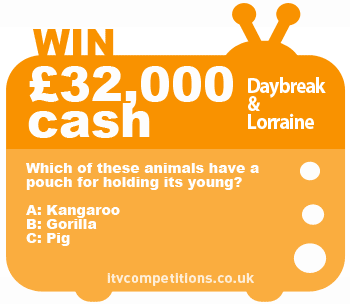 Lorraine & Daybreak competition – win cash: £32,000! Which of these animals have a pouch for holding its young? You can enter the Lorraine & Daybreak competition 6 times per phone number for free via the itv.com competitions entry form.